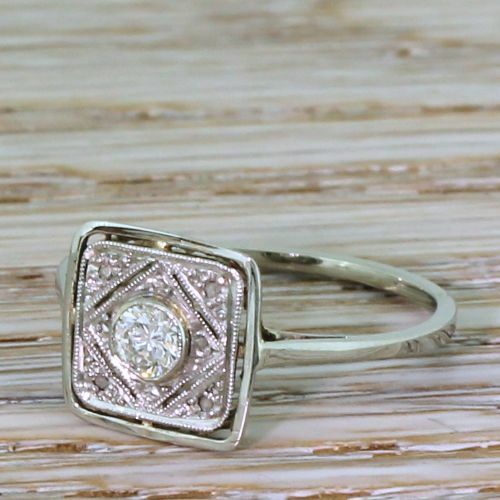 What a pretty vintage diamond ring! The high white, bright and internally clean round brilliant cut diamond in the centre is rubover set in platinum and sits at the centre of a highly detailed surround. 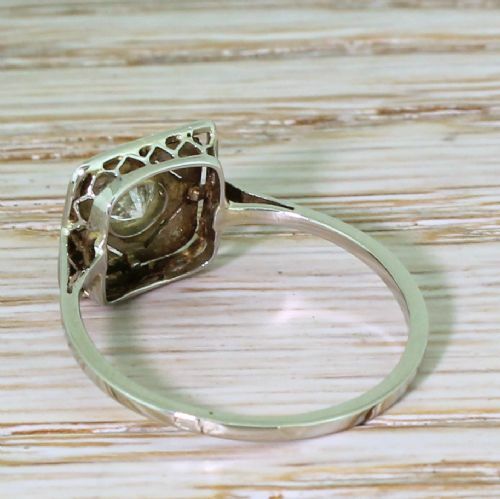 Four milgrained vents surround the centre stone, with four rose cut diamonds in the corners. 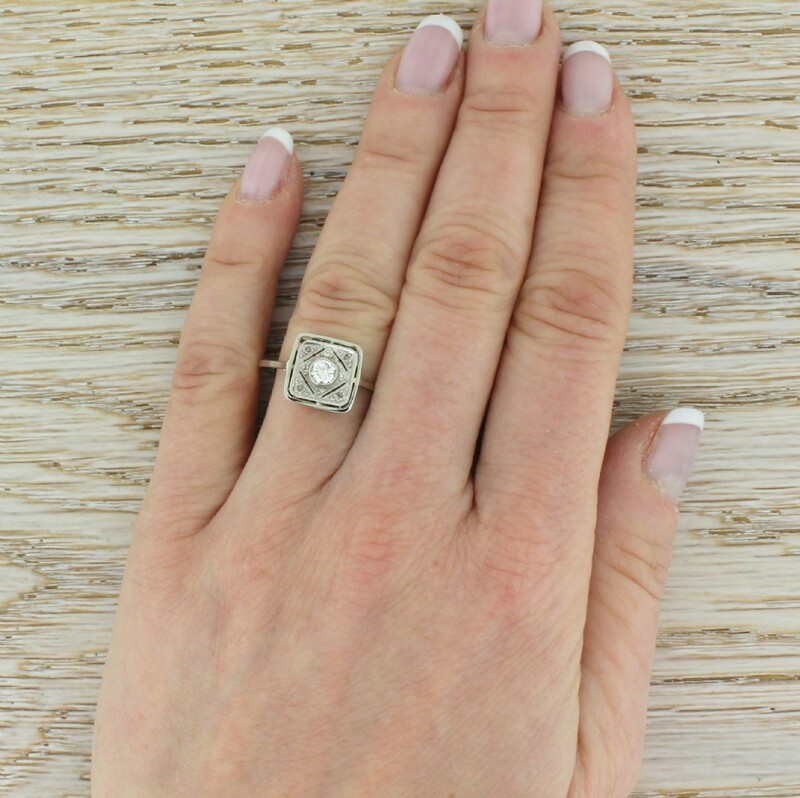 The central panel “floats” within a smooth, platinum border – leading to a finely pierced gallery to a slim 18k white gold shank. Carat – The centre is approximately 0.20 carat, with a further approximate 0.02 carat in rose cuts. Size – P 1/2 (UK) or 7.75 (US). Complimentary sizing is available, can go up or down. 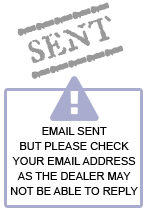 Please contact us prior to ordering if you would need re-sized. 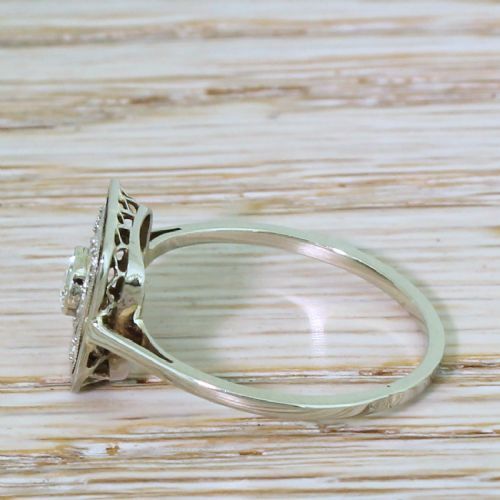 Measurements – The head of the ring is 10.6 x 10.6mm. Sits 4mm from the finger. 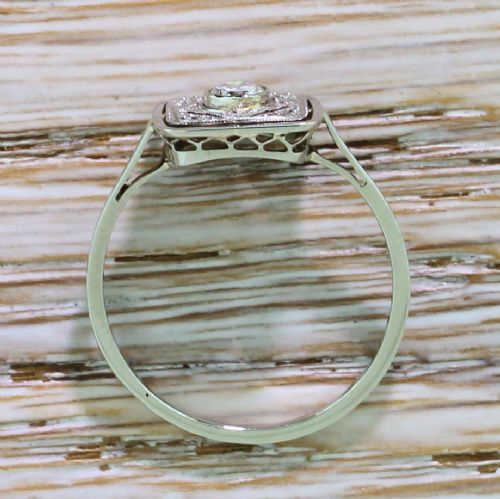 Metal – 18k white gold and platinum. French hallmarks. 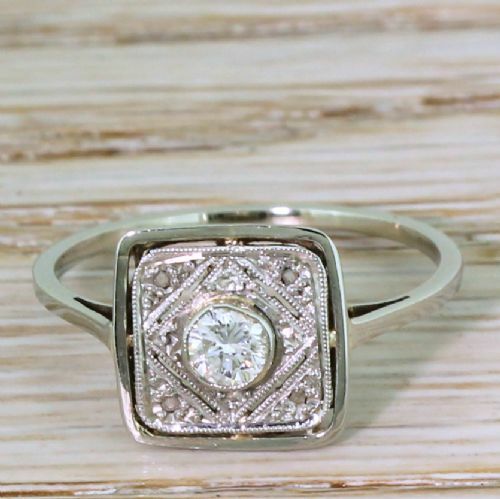 The Mid Century 0.20 Carat Brilliant Cut Diamond Ring, French, circa 1955 has been added to your saved items.